Spring is in the air, and the vegetation and insects are out in full force. Africanized honey bees also like to come out to play during this season. Awareness of Africanized bees is essential for you to avoid the possibilities of the aggressive species of bees to invade your home. They are known to build their hives in specific awkward spaces in your home and avoiding them constructing a nest prevents damage to your home. Look for the signs an Africanized beehive, so your home isn’t taken over by honeycombs and angry bees. A swarming season for Africanized honey bees is in its prime between March and July. During this period, they are reproducing their colonies, and the entire hive follows their queen. This period is also an excellent way to learn how to know if you have an Africanized beehive. Bees are generally around throughout the pollution season, and they are essential for some plants to survive or grow. But if you begin seeing a group of bees near your home, it is what to look for when you have an Africanized beehive. Keep the swarming season in mind and begin to pay attention to clusters of bee near your home. Focus on viewing the direction the Africanized bees are flying to help you identify if they have built a hive in your home. If they are aiming for a particular location in your home, check the area to see if you can notice the center of the hive. Once you notice the hive and honeycombs, contact your local bee exterminator service to rid your home before the bees take over. Africanized honey bees are known for being an aggressive type of bee, and they protect their beehive by any means. 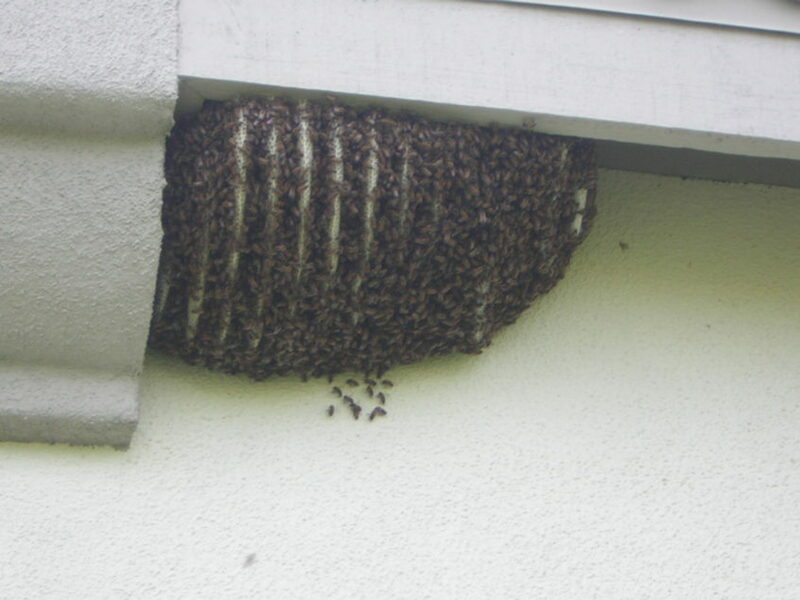 If you see a swarm, near a specific part of your home, it has the potential of being the location of the honeycombs. If you get near a hive, it is recommended you run away from it to avoid an attack. It is recommended you never try to rid your home of the hive but to have awareness of Africanized bees and call on the Bee Masters of Las Vegas to help you eliminate them for you. Call us today to see how we can help you with the bees!